Are you bunkering down for the #Snowpocalypse like I am? The world outside my windows is white, but so far it seems we have overreacted. The only signs that the world is ending were the lines stretching down the aisles at the supermarket yesterday, customers yelling when it looked like you might not take your place at the end of the line, and the shelves barren of bread, vegetables (I’m not sure about you, but I might not stock my house with kale if the world were really ending…), and milk. But as it is, I don’t have to go in to work again until Wednesday afternoon Thursday, so what better to do than make a bunch of cookies! 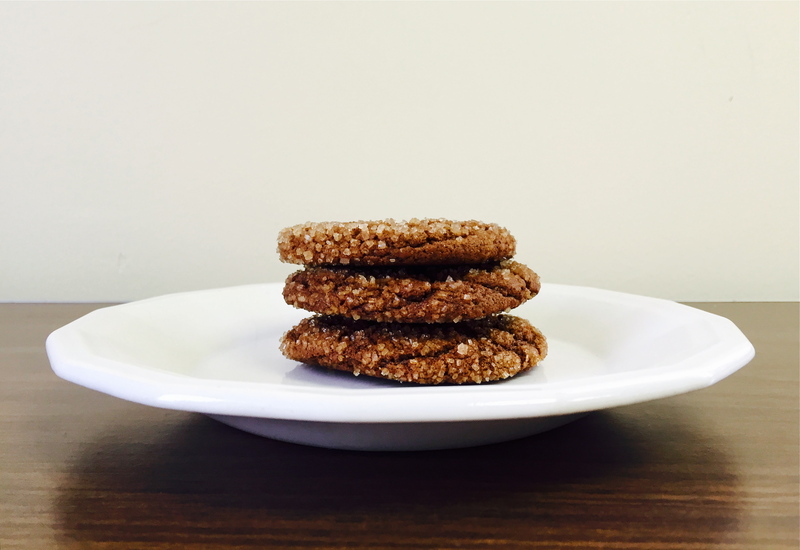 I love a good crackle on top of a chewy ginger molasses cookie and turbinado sugar does just the trick. 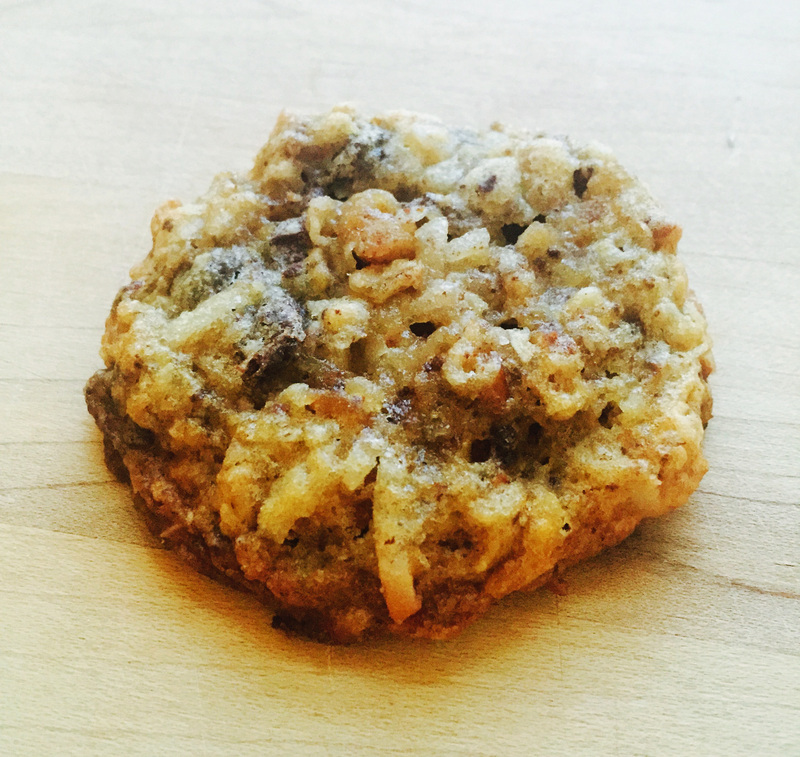 I also love the chewy strands of coconut and flakes of oatmeal in these “Chunky Lola” cookies from the Flour cookbook, juxtaposed by blobs of melted bittersweet chocolate. Can you tell, when it comes to cookies, I am firmly in the chewy camp. I do hope these cookies will make up for the things I didn’t post…ahem the stickiest sticky pecan buns ever. But if you have something to say, drop a line in the comments section. Oh, and be sure to mention your favorite pizzeria in Rome. I’m so glad spring break trips extend to post-graduation life! You are currently browsing entries tagged with chocolate chunk at Soufflé Days.